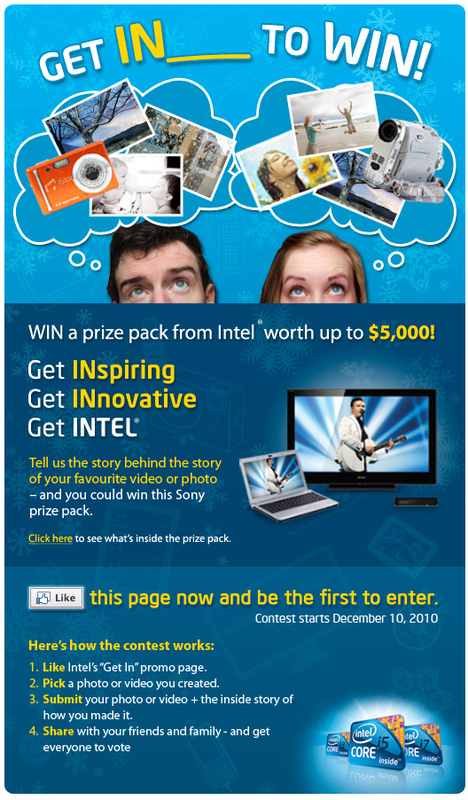 Intel Canada needed to drastically improve the engagement on their Facebook page. A contest was created targeting content creators. Contestants were asked to submit a photo or a video with the back story about it and how they captured certain effects styles. All the submissions were open for public voting with the top 10 winners receiving prizes. This was put through a social sharing platform which dramatically increased reach and opt-ins. The program was promoted through Facebook advertising and blogger outreach. Intel dramatically increased their Facebook Like base, email opt-ins, and the contest brought engagement to record levels. Services: Social Media Marketing, Facebook Advertising, Website Design and Development.